The Farley Center for Entrepreneurship and Innovation’s business courses for Winter 2018 have been announced. To learn more about FCEI’s entrepreneurship opportunities, attend their upcoming Winter 2018 Information & Networking Session on Thursday, 10/19 at 4 PM at the Ford Design Studio. RSVP here. 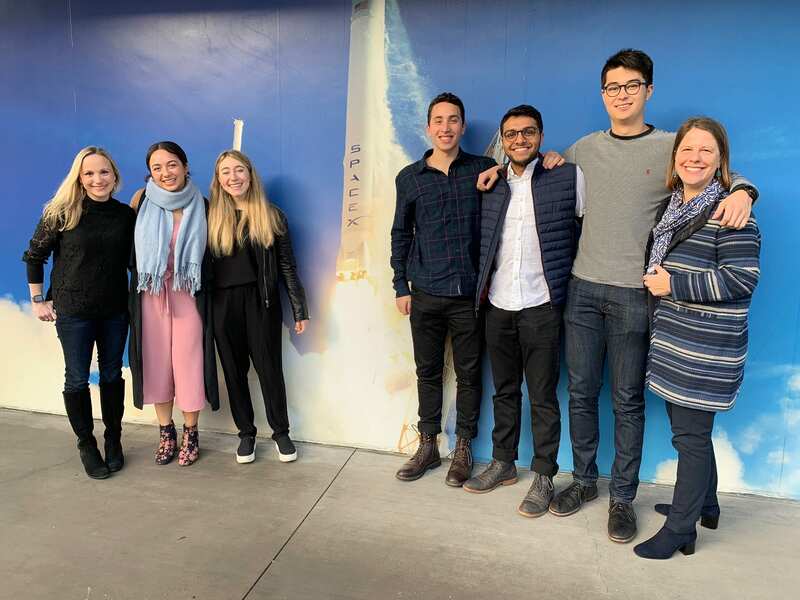 NUvention: Web + Media is a two-quarter course in which students work across disciplines and Northwestern schools to design, plan and run web-based businesses. NUvention: Energy responds to the demand for innovation and entrepreneurship in the sustainable energy and clean tech space required to deal with climate change, resource constraint and other environmental challenges. Innovate for Impact is an interdisciplinary, project-based course that uses both human-centered design and lean startup methodology to guide students through the creation of a social venture. Radical Entrepreneurship is an incubator boot camp for your real-world project; the coursework centers on students’ existing ventures. Startup Accounting incorporates lecture by the instructor and industry veterans with case study and a lean startup-focused accounting practicum. Growing and Monetizing Your Fanbase exposes artists and entrepreneurs to best practices in personal branding to help build their careers and companies. Principles of Entrepreneurship is a foundational course for students with limited or no prior exposure to business. 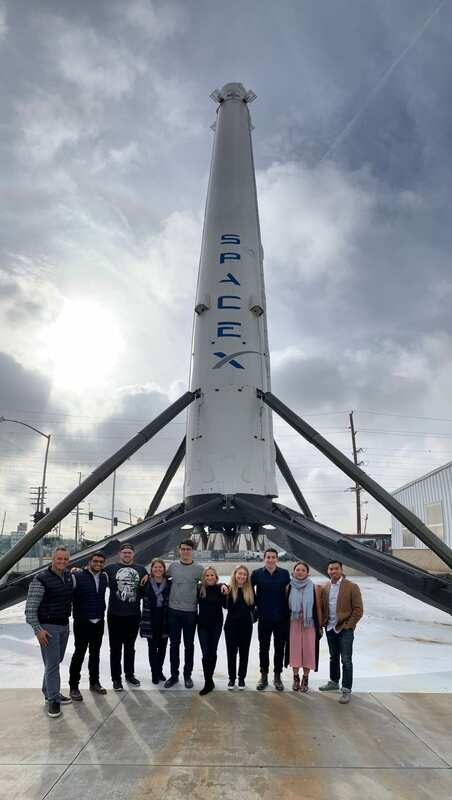 Engineering Entrepreneurship’s goal is to deepen and expand the understanding of entrepreneurship and innovation that students garner from taking Principles of Entrepreneurship, or from exploring entrepreneurship in another capacity. Undergraduate Certificate in Entrepreneurship — Earn Farley Center’s Undergraduate Certificate in Entrepreneurship in four credits – no prerequisites required. The Farley Center for Entrepreneurship’s offerings for Fall 2017 are now open! NUvention classes are the flagship academic offerings, spanning several industries and verticals. Each is a one- or two-quarter, intensive course in ideating, developing and launching a business. Currently, there are NUvention courses in advanced materials, medical devices and technologies, clean energy, Web and media, social impact, the arts, analytics, and transportation. Explore the NUvention program. Fall 2017 NUvention applications are open for NUvention: Medical, NUvention: Therapeutics, and/or NUvention: Transportation. Foundational courses offer in-depth exploration and application of the fundamentals of entrepreneurship. Undergraduate and graduate students may enroll. See a full list of foundational course offerings below. Students with an interest in concentrating their academic studies in entrepreneurship and innovation can pursue either the Undergraduate Certificate in Entrepreneurship or the Graduate Minor in Entrepreneurship. For more information on the course offerings of the Farley Center for Entrepreneurship and Innovation, click here. In 1997, Michael Saunders noticed a growing need and problem faced among the University of Pennsylvania student body: students wanted to order food for delivery to their campus dorms and apartments using a fast, convenient method all online. He soon created CampusFood.com–a website for students living in college towns and cities to order their pizzas and take-out Chinese food from local restaurants for delivery on campus. A revolutionary idea: no picking up food at the restaurant, no more calling to place your order. With just a few clicks, students were able to get their favorite foods delivered to their doorsteps. Today, nearly 20 years later, CampusFood.com has merged with GrubHub and Seamless, becoming one of the most popular online food delivery services in the country. 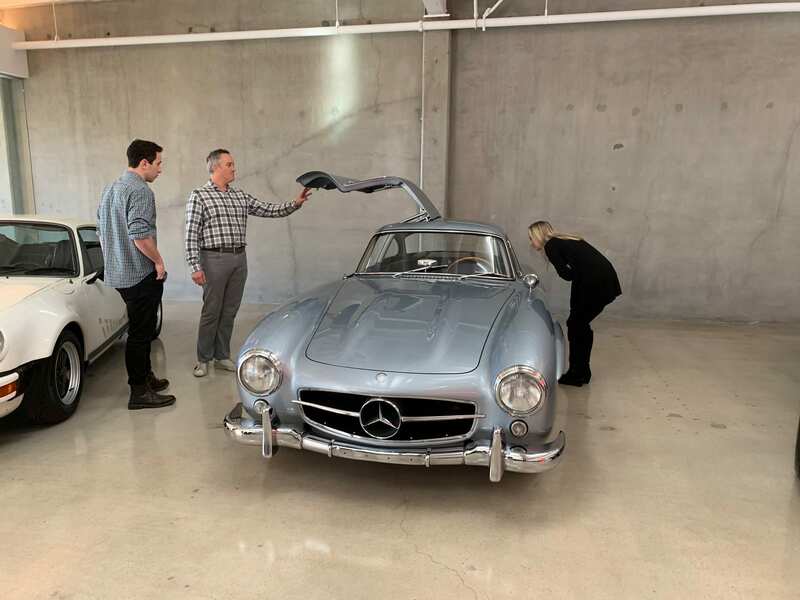 Today, Michael is serving as an Entrepreneur-in-Residence at The Garage, and works on his own projects while offering his time and talents as a mentor and resource for student entrepreneurs. 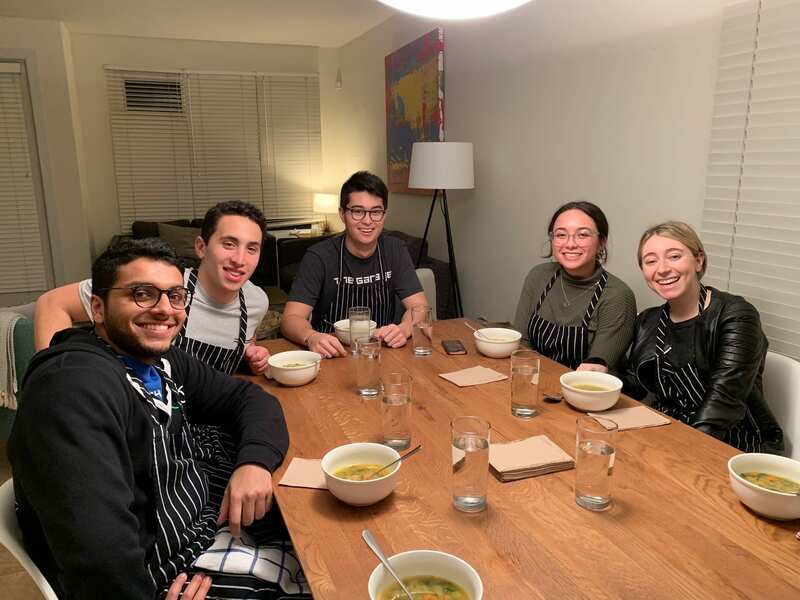 His experience creating CampusFood.com as a college student gives him optimal insight into the experience of student entrepreneurs at The Garage and positions him with an understanding insight into the world of student-founded startups. Talk to as many people as you can. Being in college can limit your perspective of the implications of your idea, so talking to more people can really broaden your perspective. And be willing to talk to people, instead of being protective of your ideas. Identify realistic “next-step” goals. Don’t focus entirely on the end result; instead, make interim goals that are feasible to accomplish. Identify people’s pain points and figure out how to alleviate them, because that’s what gets people excited and interested in using your product or service. For more information about Micheal Saunders, and The Garage’s other current Entrepreneurs-In-Residence, click here. Stay tuned for our Winter 2017 Office Hours postings, too to schedule a one-on-one. 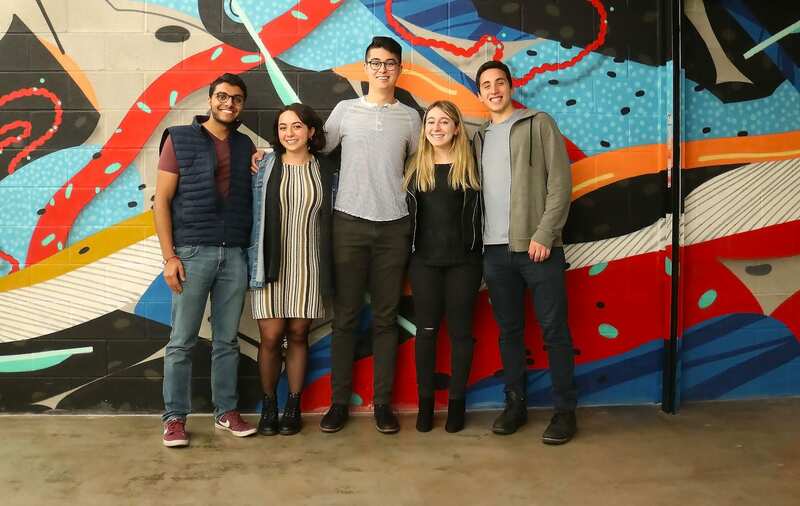 As you may know, The Garage is the new entrepreneurial hub for all Northwestern students on campus. But you ask yourself, I am already so busy with classes and clubs, why should I get involved with something else? Here are the top three reasons to come to The Garage and work on a startup. You might already take classes that have team projects, but this is different. All team members on a class project have the same goal: getting a good grade, on both the content and team player aspects of the project, thus you might hold back and be more diplomatic because you are concerned about grades. In comparison, you come to The Garage because you are passionate about a project, so team dynamics can get hairy. Each team member’s goals may not be in sync, as team members may have differing visions and priorities to make the startup successful. Also, the class project ends after ten weeks, but the startup does not end unless you take action, and taking that action could be hard from both an interpersonal and financial perspective. Motivational speaker Brian Tracy explains that, “Teamwork is so important that it is virtually impossible for you to reach the heights of your capabilities or make the money that you want without becoming very good at it.” So having the tools to work well on a team and to help build a team where opposing ideas are considered and yet all members are valued and work collaboratively will serve you well in any 21st century career. Whether you are pitching your idea to fellow students to convince them to come work on your team, persuading your professor to be your mentor for your startup, or selling your idea to investors to raise capital, you will be practicing your pitch over and over. This is a great example of “practice makes perfect.” At The Garage, you will have plenty of opportunities to practice your pitch, from informal sessions at our Family Dinners and Office Hours, to the intensive-feedback sessions during Wildfire. You will learn to take facts and weave them into a story that engages the audience and ends with a call to action. For some, pitching comes naturally and for others it is very uncomfortable, but it is an important skill that you will need in your career. You will need pitching proficiency to sell yourself in a job interview, to convince the team that your idea is the one the team should pursue, or even to sell your boss on giving you a raise. 3. Learn to Fail, Recover, and Succeed. At some point in your life, you will fail at something and it will be devastating. How will you cope? The Garage is a safe place to take risks, leave your comfort zone, try new things, struggle and then fail. Not just fail, but fail miserably–a huge colossal fail. It will feel bad, but you will be supported by The Garage community and we will celebrate that failure together. While learning to cope with failure, collaborating with team members and honing your pitching skills you will get a taste of entrepreneurship. Not only are these skills important for whatever career path you choose, but at some point in your career, if you are working for someone else, you may wonder, should I go out on my own? Come to The Garage and work on your ideas. Elisa Mitchell is the Operations Manager at The Garage and enjoys helping each student start a unique entrepreneurial journey. She is an accomplished attorney and CPA and brings strong organizational skills, attention to detail and a can-do attitude to every project. She is thrilled to be a part of The Garage. The Garage is excited to announce the teams accepted into the first batch of Radical Entrepreneurship with Wildfire. Demo Day will be held on April 13, where teams will be competing for $8k in prize money, sponsored by Exelon! Zcruit optimizes the college football recruiting process through predictive analytics, thus saving college football programs time and improving the quality of recruiting classes. HearYe: Plan less, do more. 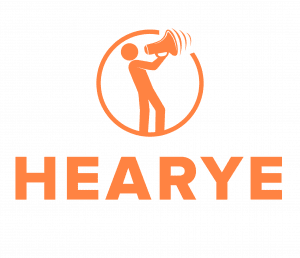 HearYe is a mobile application that’s designed to organize casual group outings in an efficient way by allowing users to create, share, and communicate outing details on a central platform. VertigōMetric Dx has developed a retinal-imaging medical device that rapidly helps an ER physician differentiate between a diagnosis of a non-life threatening issue and brainstorm stroke. Diagnosing this issue quickly will lead to tremendously better health outcomes for the patient while saving hospitals nearly a billion dollars annually. VertigoMetric Dx is led by an accomplished physician, a bioengineer, and a Kellogg MBA student. HotPlate is an app designed to help you decide what to order at restaurants. Users can rate individual menu items, so that it is quick and easy to see the best dishes. HotPlate also allows users to see friends’ ratings, search by specific dish item, and receive tailored recommendations. NewMoon Chicago provides Spectacle Services that pair performance art, mechanical contraptions, and the fundamental elements of an event —from serving food to musical performance— to create new elements that redefine ultra-premium, cutting-edge aesthetics and transform perceptions. From Drones flying guests appetizers to Aerialists pouring champagne, NewMoon provides the fantastical experience guests are seeking and creates memories they never forget. Please contact Elizabeth Lukehart with questions. On Thursday, November 3, 2016, The Garage, alongside Northwestern Women in Business and Chime by Sittercity, welcomed the minds behind a new documentary, “She Started It,” for a special screening of the film, followed by a Q&A with the film’s director and producer, Nora Poggi, co-director and producer Insiyah Saeed, and Sheena Allen, an entrepreneur featured in the film. Today, 96 percent of venture capitalists are men; women still account for less than 10 percent of founders for high growth firms, and earn just 12.9 percent of computer science degrees. “She Started It” invited us to take a glimpse into this sometimes challenging world, but at The Garage, with a room full of women interested in this space, there is inspiration for the next generation to dream bigger. At The Garage, we strive to build a community of diversity and support, and aim to energize women in tech and entrepreneurship to think bigger and to get involved in the startup world with the guidance, mentorship, and resources provided here. Now more than ever, we invite women involved in entrepreneurship and innovation to join us at The Garage. The Forbes Under 30 Summit — a gathering of young entrepreneurs and game-changers — will be held this fall in Boston from October 16-19. The event will bring together VIPs from the Forbes 30 Under 30 list and mentors for panels, demonstrations, pitch contests, networking and performances. This year Forbes is also introducing a new opportunity for the country’s top students: The Forbes Under 30 Scholars. 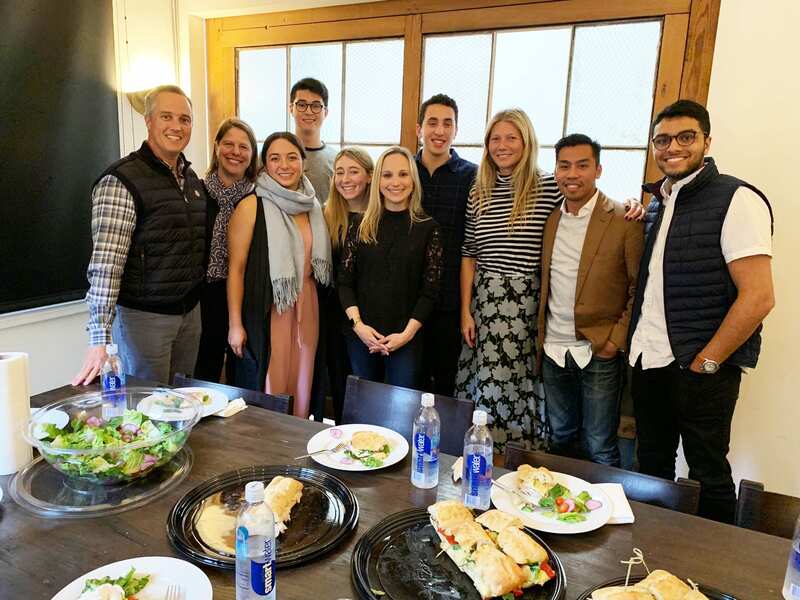 Forbes has partnered with the nation’s top schools to give 1,000 of the best students a free pass to the Summit, with a content focus in their area of specialty, as well as complimentary lodging with host students in Boston. 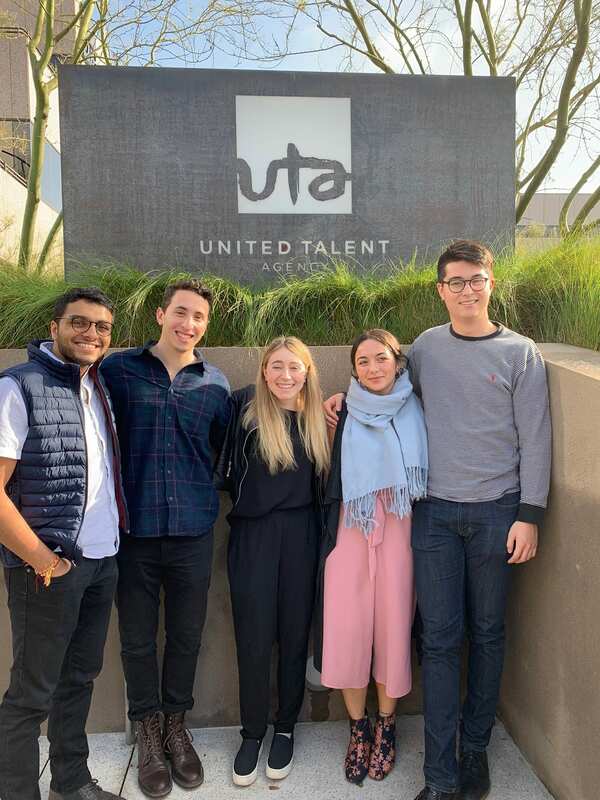 The Under 30 Scholars will also have the opportunity to meet one-on-one or in small groups with top recruiters from the best companies and startups in America. If you have any questions, you can contact Taylor Culliver, Program Coordinator at Forbes, at tculliver@forbes.com.